Lily hasn&apos;t always had it easy, but that&apos;s never stopped her from working hard for the life she wants. She&apos;s come a long way from the small town in Maine where she grew up - she graduated from college, moved to Boston, and started her own business. So when she feels a spark with a gorgeous neurosurgeon named Ryle Kincaid, everything in Lily&apos;s life suddenly seems almost too good to be true. Ryle is assertive, stubborn, and maybe even a little arrogant. He&apos;s also sensitive, brilliant, and has a total soft spot for Lily, but Ryle&apos;s complete aversion to relationships is disturbing. 5.0 out of 5 starsEveryone Needs to Read This Now! I'm going to start this review off with this statement: I didn't cry while I was reading this book, but I did cry several days later when I was looking back on Lily's story. That shows how emotionally charged this story is, along with the true power behind Colleen's writing. I'm not going to give away any spoilers because you need to go into the book blind. If you want to know what happens, there are definitely some reviews out there that tell you the big twists and turns. But take my advice and don't spoil this book for yourself. It will lose a lot if you go in knowing exactly what to expect. So seriously, don't do it to yourself. Just let the beauty of Colleen's writing sweep over you and sink in. This is honestly not only one of the best reads of 2016, but also one of the most (if not the most) empowering. I want to give this book to every man, woman, and even teenager (it's definitely a NA/adult read) and tell them... READ THIS NOW! Do you want to know why? Because this book carries with it a very strong message, one that shows strength and courage that many people might not have at the time, but after reading will understand and gain. I honestly don't know if there has ever been a time when I was prouder to be reading the heroine's story due to her choices. Ultimately though, Colleen Hoover wrote a book that everyone can take something away from. Colleen always writes such unique stories, and this one is certainly no exception. But the one thing I will say is that this is truly her best book yet. Lily's story is one that I never wanted to stop reading. If I know that I'm going to need to read a book in multiple sittings (which was the case with this book), I usually try to find a good place to stop. One in which, nothing major is happening and nobody is facing some drastic/perilous moment. Well you see the problem with this book is the fact that there is literally NO. GOOD. STOPPING. POINT! None! There was never a part where I felt safe in letting this book sit overnight because I knew that the story and the what if's would play endlessly in my mind. So I stayed up and read it all in one sitting because I simply couldn't stop. Lily was someone that I connected to right from the get go. I knew as soon as the book started that I would like her, and that never once stopped while I was reading. However, I didn't realize how much her character would affect me while I was reading. As I said before, after I was finished reading, I couldn't have been prouder of her decisions. The strength she had throughout the story to go through what she did, but also her resolve and conviction just made me constantly cheer her on. Lily is truly one of the most admirable characters that I have ever had the pleasure of reading about, and that admiration goes extraordinarily deep. I mentioned it briefly above, but this book has a very powerful message, and this message is actually carefully woven into the story from page 1. You obviously don't realize it when you start reading the novel, but it's there when you look back after finishing. And this is also why I'm going to reiterate the importance of going into the story blind, because just as unexpected and emotional it is for the reader to read and witness what Lily goes through, it is even more unexpected and emotional for Lily. This is where this book truly shines, because you as a reader feel like part of the story. There's a very slow burn while reading, one in which we get to know characters and see the develop in the ways that we as humans get to know each other...but then Colleen rips that metaphorical rug out from under all of us, and shocks us with one revelation after another. But you know what? That's exactly how life is sometimes...sometimes you never see things coming in a million years and you have to figure out how to deal with these radical changes you never thought would happen. Where this book really got me though was the meaning of the title. Throughout the entire time I was reading, I kept wondering what the title meant. 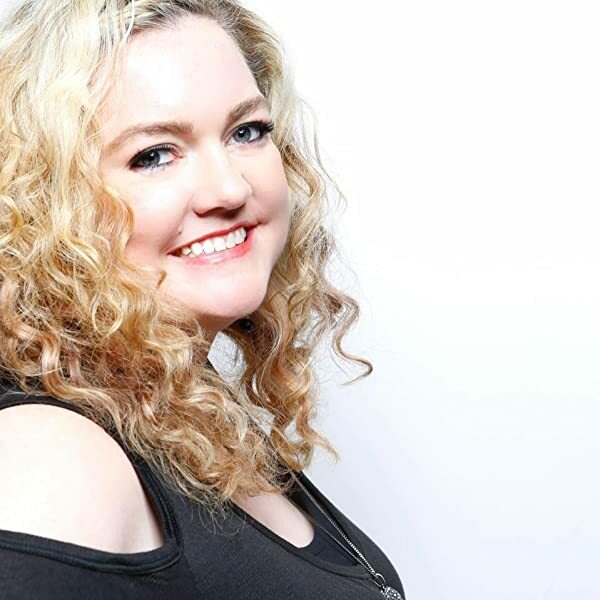 Because come on...this is Colleen Hoover and literally EVERYTHING has some significance (no matter how small). And when I got to the part of the story where the title finally made sense, guys let me tell you...this had an impact on me like no other. I just sat there with my book in my hands staring at the page for a solid 5 minutes. It is the perfect title for the perfect book. 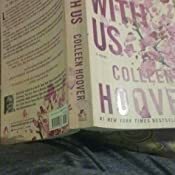 I connected with this book in my own way, and for that I am extraordinarily thankful to Colleen Hoover for even writing this book. 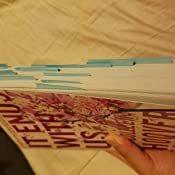 The author's note at the end was just as powerful and amazing as the rest of the story, but it shows just how personal this story was for her to write. I applaud Colleen for writing this book and not "making things easy" for the main character or glossing over the "bad parts." This is an incredibly realistic book that makes you realize many things and leaves an imprint on your soul. It's important to remember that everyone must make extraordinarily difficult decisions in their life, and not everyone will agree with them. If this book even empowers one woman to take steps in making an important decision, the Colleen Hoover did her job. And I count myself lucky to have had the honor of reading this story because I am a changed person because of it! 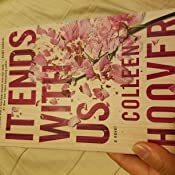 I dismissed Colleen Hoover years ago and I haven't read anything from her since. It's true. 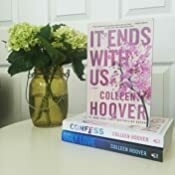 Three or four years ago I went through a string of so-so to bad Colleen Hoover books, and I decided to just put her out of my mind. I ignored her new releases, and I lumped her into my mental pile for authors who are "not for me." Recently, one of my friends wanted to buddy read this book. I thought, "Gah, pay full price for a book I'm not going to like?" However, I sucked it up and sort of grumbled about it, but I decided to give it a go. And this book blew me away. The Colleen Hoover I last read wasn't writing books at this caliber. This was a whole different level. For one, there are none, and I mean NONE, of the tired romance tropes presents in this book. In fact, this book was a little more woman's fiction than romance, if I'm being honest. While I guess it can still be classified, genre-rules-style, as romance, it is more about Lily's life experiences and the lessons that she learns about herself than anything else. There is a romance present, but I don't think it is the main focus of the story. While I'm not typically a women's fiction fan, I think that if this book took any other trajectory, it wouldn't have been as powerful. I typically don't read reviews before starting a book. In fact, I didn't even read the blurb for this one, or if I did, I forgot it before starting to read. I liked that. I think going in blind with an open mind and minimal expectations is the way to go. Though the twists and turns aren't 100% unexpected, the author very much succeeded in pulling the rug out from under me on more than one occasion. I'm usually not a fan of books where people say, "Wow, that made me think. This book is a thinker." I usually just roll my eyes internally because I assumed that the readers are being played like emotional pawns. I know, I'm judgy. But in this case, yeah, I was thinking a whole hell of a lot. It made me reevaluate how I perceive others and their relationships, and it made me rethink my biases. People are always know-it-alls until they are in the situation themselves, and then it doesn't seem quite as simple. The author made one right decision after another with this story. I think that is the key to its success. The author made a relatable, human character in Lily, and gave each supporting character their positives and negatives. There are no villains here. No easy answers. Colleen Hoover also made an insanely smart decision to have only Lily narrate the story. There was no other choice, really, but it gave readers a laser-focus on her, which is where our focus deserves to be. While this book has a positive ending, it is also a story that can be described as gritty, difficult, hopeful, powerful, and crushing, all at the same time. It is a long story, but it has a fast-pace with plot elements thrown in at the right times to keep interest engaged. I couldn't put the book down from the moment I got into the groove, and I read this story all night until the last page. The dedication is also important to read, but make sure you do it after you've finished the story and not before. Colleen Hoover impressed me so much with this story. 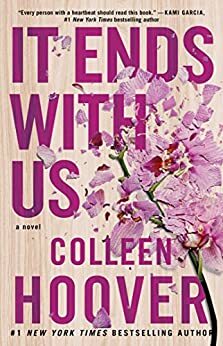 It made me rethink a lot of things, but most of all, it made me rethink how I judged Colleen Hoover years ago. I won't dismiss her so easily again.